Long-Time-LIner® 1-prong NANO needles (100 pc.) Our goal is to give you joy when you look in the mirror. Whether used for cosmetic or concealing reasons, our products and applications will help you feel good about yourself on a daily basis. 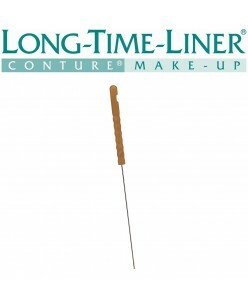 LONG-TIME-LINER® Conture® Make-up is our recipe for long-lasting natural bea..
Long-Time-LIner® 1-prong needles (100 pc.) Our goal is to give you joy when you look in the mirror. Whether used for cosmetic or concealing reasons, our products and applications will help you feel good about yourself on a daily basis. LONG-TIME-LINER® Conture® Make-up is our recipe for long-lasting natural beauty. ..